Ohr Ttilingera Israeli singer21 year is a resident of the city of Hadera.“Yeldei Elokim” is actually a song of prayer and longing written while serving in the IDF during Operation in Gaza. The words actually come from Tehillim reflection intertwined with the national situation – pray for peace troops home mothers, prayer of children living in the northern Gaza perimeter peace and quiet , and the desire of the people to see the return of prisoners back into the arms of their loved ones. Tilinger asks all of us what in fact every person, parent and child asks himself: a prayer for better days, unity, serenity and peace.Ohr Tilinger is very busy artist, his agenda ranges from intensive work on the debut album which was produced by Hagai Mizrahi’s musical, concerts around the country with his band and material composition and performances with established events. 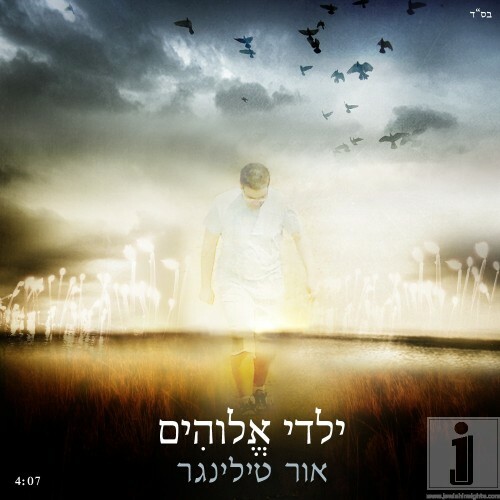 Lyrics & Arrangements:Ohr Tilinger | Musical Production: Ziki entered.